At L.N. Berneche, we pride ourselves on being trustworthy and skilled contractors. We know that a company is only as good as its name, so we strive to keep honor and integrity behind ours. This is why we focus on two things: customer satisfaction and providing quality service. Our business model of putting our customers’ needs before our own and focusing on quality has helped our business stand the test of time. 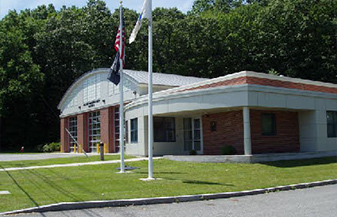 We have served New England since 1970. Our industrial maintenance company has survived this long by providing knowledge and experience. From new construction to renovations, our staff will work hard to get the job done right. L.N. Berneche has the tools and skills to do maintenance and tenant fit-outs in both the private and public sectors. To help get the job done, we have our own in-house technical expert. When a job requires us to turn to an outside source, we bring in only certified environmentalists, structural engineers, civil engineers, and licensed architects for support. We have developed a long-lasting relationship with technical contractors to ensure that the services that they provide live up to the standards that we set for ourselves. We pride ourselves on hiring skilled contractors. Being trustworthy, and keeping customer satisfaction is at the forefront of all our decisions. That’s why we don’t consider a contract to be fulfilled unless you’re happy with the results. We don’t just want to complete the job. We want to complete it within your budget. Contact us today at (413) 536-2060 or at Lnb71@aol.com for more information about our services.